Tom McMahon: Does Anybody Out There Have An Image Of The Old Rusty Jones Rustproofing Guy From The 1980s? 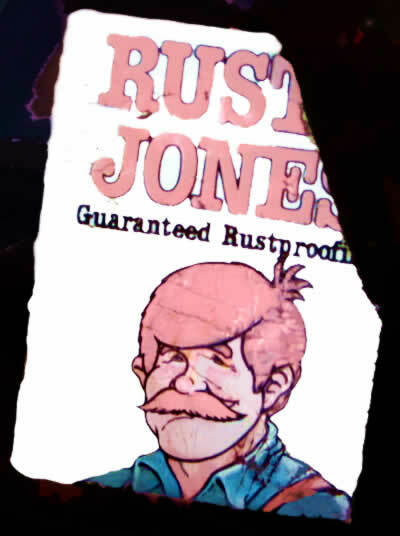 Does Anybody Out There Have An Image Of The Old Rusty Jones Rustproofing Guy From The 1980s? 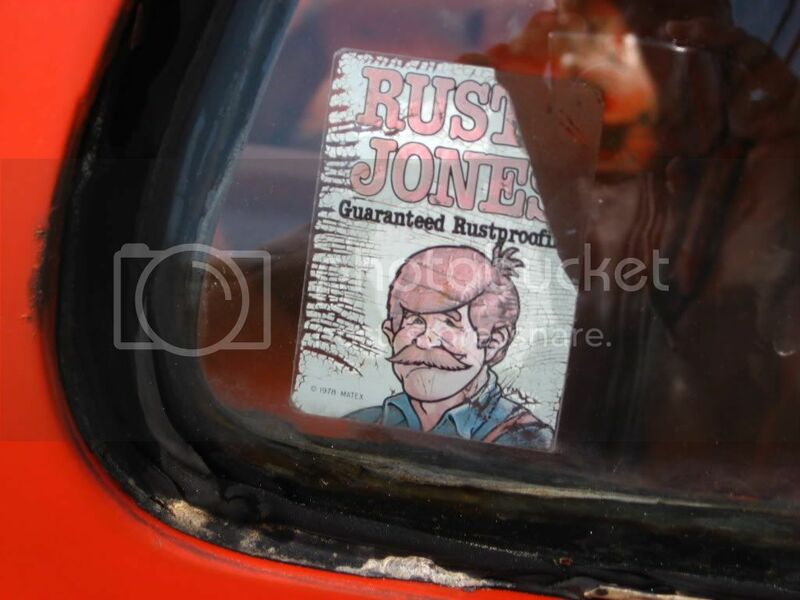 Wikipedia: Cars treated with the rustproofing displayed a sticker in the window with the name "Rusty Jones" and a picture of the cartoon character (also named Rusty Jones) from the company's TV commercials. So there were hundreds of thousands of cars with that Rusty Jones guy on them, and they bought enough TV advertising so that decades laters people still remember the "Hello Rusty Jones, Good Bye Rusty Cars" jingle. Yet I can't find a single image of the Rusty Jones guy on the entire internet. Weird, eh? Anybody got one? I applied a bit of Photoshoppery to old Rusty. Click on the sticker to see him in his natural habitat. can with his picture on it. It is rusted on the bottom, but still looks pretty good. I worked for the co. as the one who designed the whole program back in 1973-1975. we were known as Thixo-tex. I secured most of the new car dealers for rusty. I have original articles and pictures. This essay read wonderful. I like it very much. I have a used rusty jones condom- for sale! I used to work at Rusty Jones and still have an original ceramic coffee mug in new condition with good ole Rusty Jones on it in full color! I have a perfect condition sticker on my 1984 Chevy S-10 that I will snap a shot of so all can see. Good Ol Rusty kept the truck in good shape until I bought it in 2007 with just 21,000 on it. Sadly I am already up to 62,000 and it definitely has taken some wear. I guess the difference of an 70+ man to a 21 year old for driving habits is pretty wide. I have a 1981 VW Rabbit convertible with 'Ol Rusty still in the window. Rusty Jones was created by Tom Moriariy a commercial artist working in chicago, Tom created the logo Rusty Jones after his younger brother who was a fireman. I have been looking for this foever. Thanks. When I was a kid, every car my parents owned had the famous sticker. I spent alot of time staring at ol'Rusty. Yeah no kidding, we just discovered that as well. On the entire Internet, not one image or snapshot of a Rusty Jones decal. Unbelievable.